Foreign real estate investments in the United States, both commercial and residential, is a huge phenomenon that is only expected to accelerate, maybe even to skyrocket, in 2017. Combine the relative strength of the U.S. economy with low interest rates and low prices after the housing crash, and you have a foreign real estate investment frenzy. From the period between April 2014 and March 2016, 8 percent of all home sales in the United States were to foreign investors. But the Chinese buying spree in the United States didn’t start in Texas. It began in Manhattan and Silicon Valley and was a major factor in inflating home prices in those areas. California, overall, has been an attractive place for Chinese investors who often think nothing of paying cash for a $500,000 home in Orange County (mainly Irvine) or the San Gabriel Valley. And that’s just the average price. Some investors shell out millions of dollars for U.S. real estate. China’s impact did wane since its economic slowdown of 2015, but the investing lull might be only temporary. Pro: If you already own property in areas that are now attractive to foreign investors, you’ll see foreign investment as a benefit. Your house will be worth more with all the increased demand from foreign buyers, and you’ll probably make a profit if you decide to sell. If you decide to stay, you’ll enjoy a stronger local economy and potentially new housing developments that come with added amenities for the community. Con: If you live in an area that’s attracting foreign investors, you might find that your neighborhood has a lot of vacant homes. 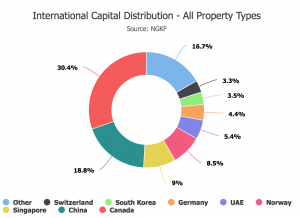 Not all foreign investors, as was pointed out earlier, buy residential real estate to use as a primary residence. The home might be a vacation home that sits empty for much of the year. Or if foreign investors do intend to live in the home, it might take a long time for them to make the move from their country, again leaving the house vacant for a significant period. Con: If you live in a hot investment area but don’t already own property there, you might be forced out of the housing market from the spike in real estate prices. Foreign investment can create a housing bubble in certain areas, making it difficult or practically impossible for Americans to buy a home in their own country. Although foreign investors typically are not in the same market as first-time homebuyers are (they are generally in a more upscale, higher-priced market), there could be a trickle-down effect that could ultimately raise prices for all price points. Con: If you’re currently renting, you’ll probably be renting for a while longer, and rent prices will likely go up if demand increases. 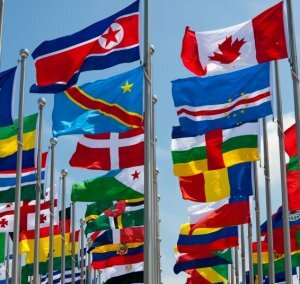 Whether you like the idea of foreign investors buying up property in the United States or whether you don’t, as long as wealthy foreign buyers see the United States as a safe place to park their money, the practice will continue. Although there are some cons to foreigners investing in the Unites States, the money they bring here strengthens local economies.